Lagoon Nebula (also known as M8) is an emission nebula in Sagittarius, approximately 4,100 light years away. 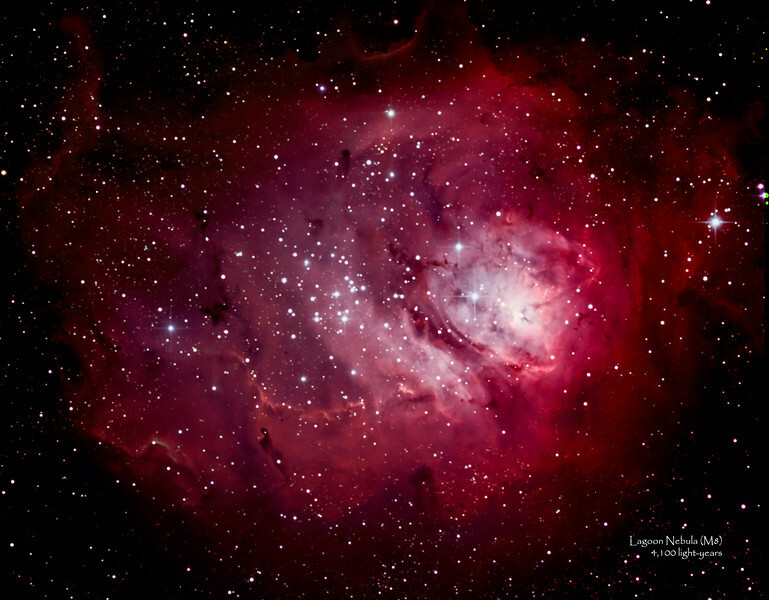 Its name comes from the wide lagoon-like dark region that almost separates the nebula into two parts. This can be seen with binoculars from mid-northern latitudes. The cluster of stars on the left half of it may actually be a small star cluster between us and the nebula, and not actually near or in the nebula.